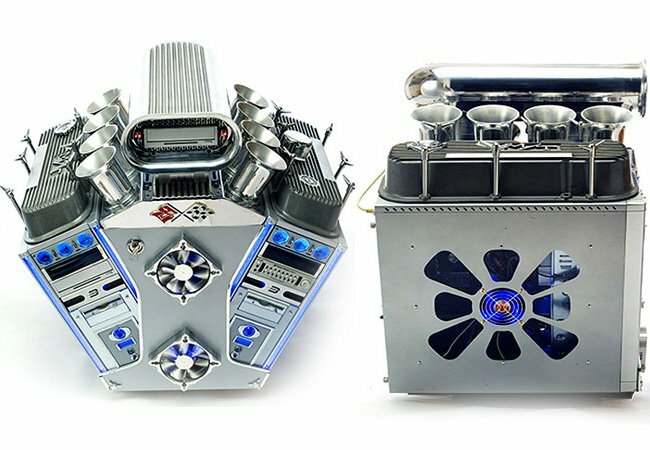 If you area bit of a petrol head and a PC user you might like this case mod created in the form of a V8 engine. 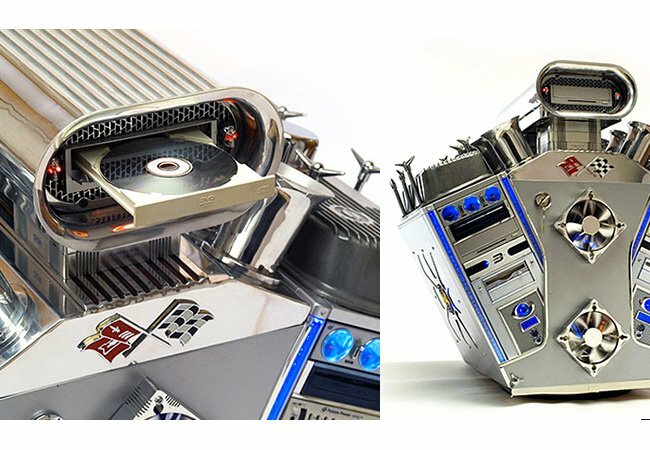 The case mod has been created in the shape of a traditional V8 engine with dual PC cases and engine components. With one DVD drive being fitted into the air intake to complete the effect.